Whether you are visiting our area or resident entertaining guests, you will find a wide variety of things to do spring, summer, fall, and winter in and around the Kitsap Peninsula. To get started, go to the red Things To Do tab, click any of the categories and start exploring. Each category has its own Search Filter, provided below in a handy list for quick access. For upcoming events, check out our Events Calendar at the top of every page and search by date, type, and location. If you need assistance, please use the Inquiry & Comments form. Below are direct links to each of the Things To Do categories (shown above under each of the menu names at the top). You may also use the main search tool at the top of each page to search the VKP entire site. Check out our rackcard and Google map featuring dozens of art galleries located around the Kitsap Peninsula region. Find more info using our Arts & Culture search. Click here to view or print a letter size version. Click here to view the Google map of the KP Art Galleries. 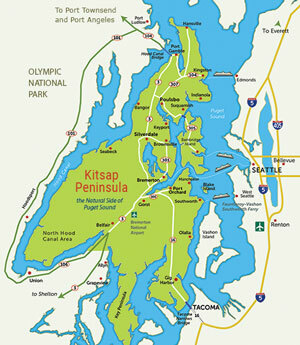 We also provide info on dozens of museums located in and around the Kitsap Peninsula region. Click here to view or print a letter size version.Click here to view the Google map of the KP Museums. 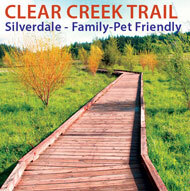 Introducing our new Visitors Guide & Outdoor Recreation & Bike Map. Click here to view the Visitor Guide Side. Click here for the Bike-Recreation Side of the Map.